Sold! 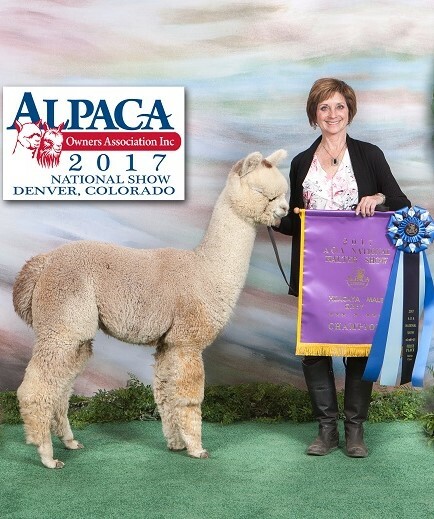 Thank you & Congratulations to Deb Potts-Ragan, Cloverleaf Alpacas! She is a long way from El Nino in a colorful kind of way! Introducing Crescent Moon’s Breezie with her exceptional conformation, fleece, pedigree and personality! It could be argued that the three most influential fawn studs who arrive on USA soil during the imports were Camilio, Victor and Royal Fawn. 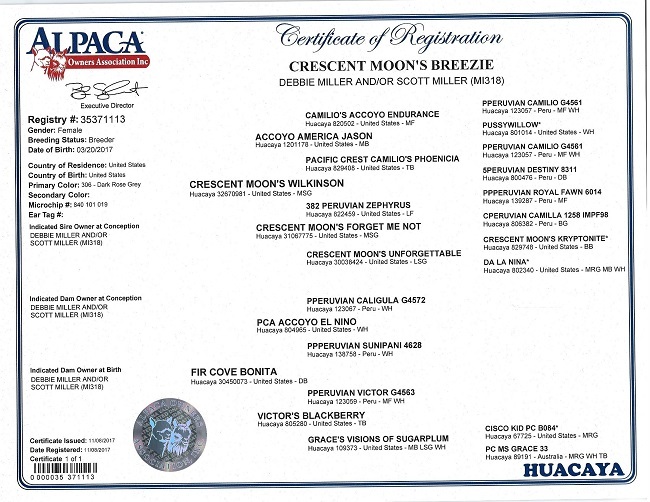 Breezie’s pedigree hosts them all. That fact begins to help one understand her depth of color but mostly it helps explain why she is so dense and bright and why her fleece is so well organized. It also helps one understand why she is so pleasing to the eye. She really is a picture! Crescent Moon’s Breezie sells with her first pairing. That decision is easy for us. We would recommend Greener Pastures Bellarmine. Or if he has started his mating career, it would be hard not to consider, Crescent Moon’s Emmaus.